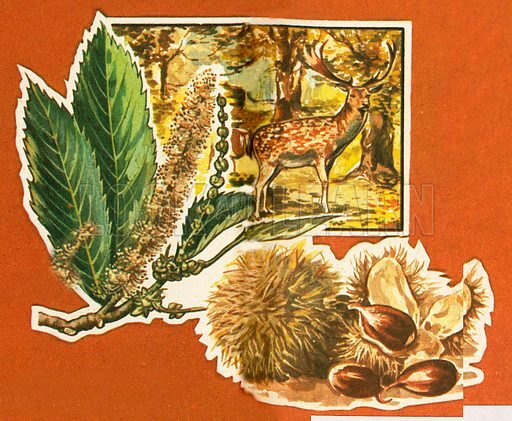 Sweet chestnut trees live for about 500 years. Deer are very fond of the leaves of this tree which bears nuts held in a bristly covering. Available worldwide for immediate download up to 4,411 x 3,627 pixels.